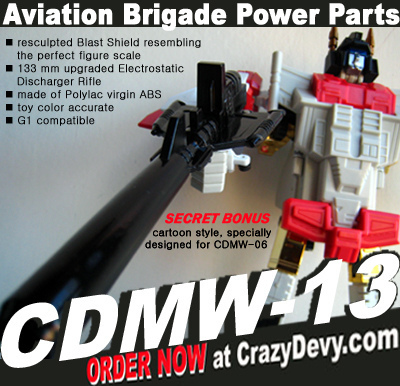 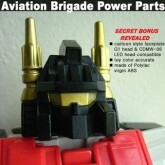 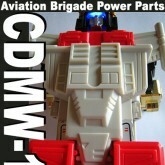 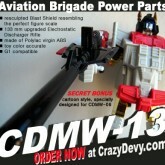 Aviation Brigade Power Parts (CDMW-13) toy information. 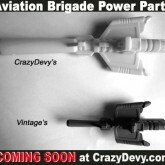 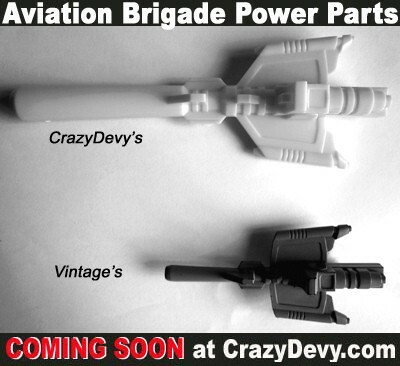 The second of CrazyDevy's Aviation Brigade Power Parts Add-Ons for Generation 1 Superion consists of a longer chestpiece (to hide the tops of Superion's legs) and a much larger rifle weapon. 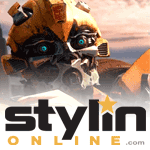 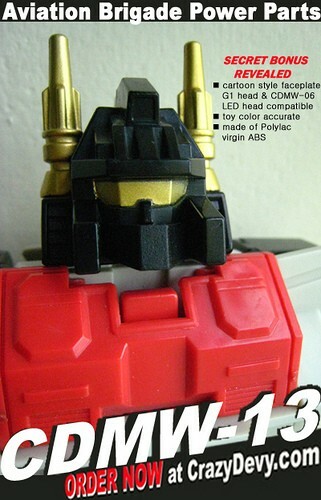 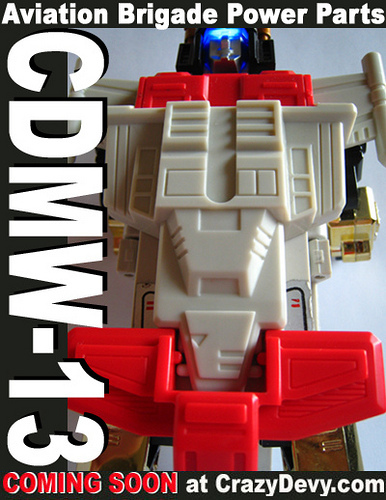 The set also included a faceplate to recreate the show accurate look of the original Generation 1 character that was compatible with the original head or the CDMW-06 head.